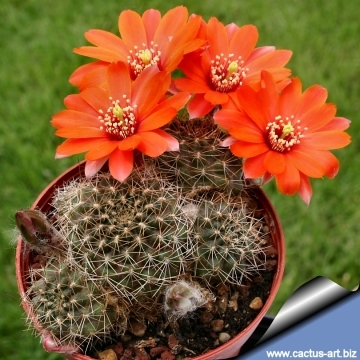 is a clumping plant with lots of dusky pink to dark orange flowers. The stigma lobes are greenish, and the anthers are cream coloured. 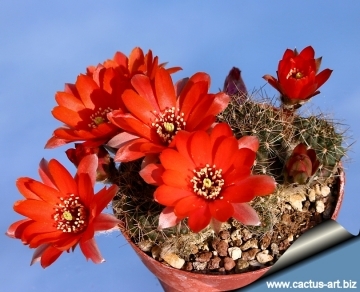 Description: Rebutia haefneriana is one of the many geographical forms of the extremely variable Rebutia pygmaea. It has tiny dark greyish-greem to olive-green stems. 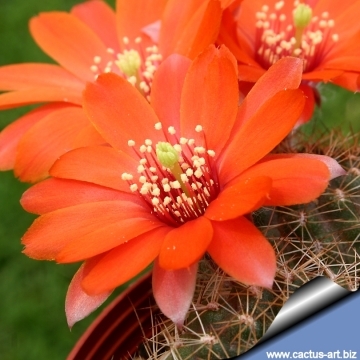 Flowers are dusky pink to dark orange or red. Stems: Individual heads, globose to flattened globose (sometime short-cylindrical in cultivation), 2-4 cm wide and tall. The colour of the epidermis is dark grey-green or olive-green, with violet tints. 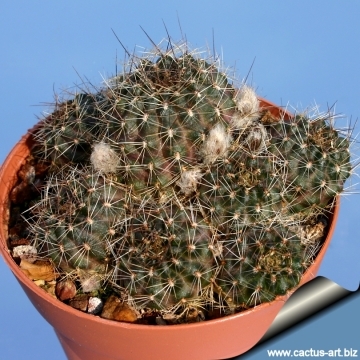 Spines: Short glass-white with darker tips, bristly, awl-shaped to needle-like, radials all straight (or sometimes with one central one). 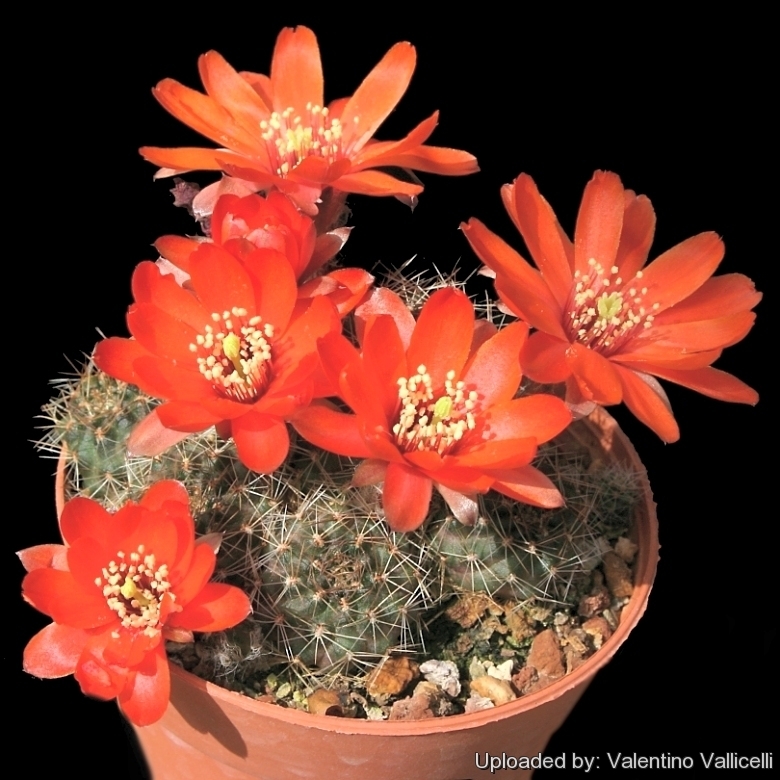 Flowers: Diurnal, borne on the stems' side, 2,5 to 3 cm in diameter, and dusky pink to dark orange or red. Stigma lobes are greenish, anthers are cream coloured. 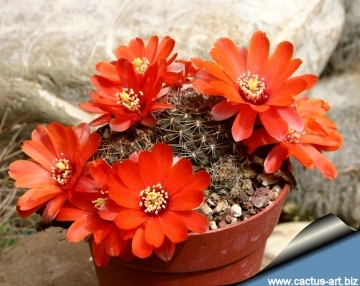 Cultivation and Propagation: Rebutia haefneriana is a summer grower species that is easy to cultivate and recommended for beginners. 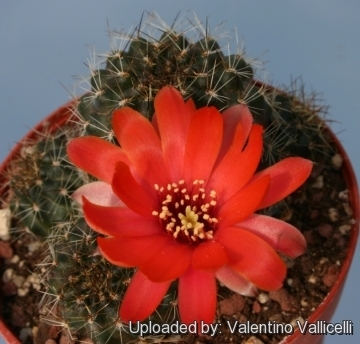 The whole Rebutia pygmaea complex has delightful flowers and the plants remain compact, and clumps can easily be managed by division. 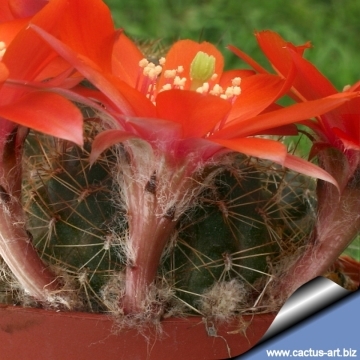 Another advantage is that the plants are very cold hardy in Winter if kept dry.